The Young African Leaders Initiative (YALI) has demanded that Minister of Justice Given Lubinda gives a clear roadmap and time frame in which the governance reforms will be tabled. Speaking at a media briefing in Lusaka on Thursday, YALI president Andrew Ntewewe said his organisation was happy with the response from the Minister on their call to have the drafts bills before parliament but that time was ticking towards 2021. Ntewewe said the reforms that the country needs should take place before the 2021 elections and that with the confusion that has engulfed the dialogue process government should show leadership and continue with the reforms in parliament. “We are satisfied with Government position that it has no intention to relegate the governance function to either NGOs likes ours or our friends, the church or the ZCID. We also find it right that government will, in due course, issue its position on the reform program which is expected to give direction to the disputed matters which have been subject of a national political dialogue. “We however want to remind President Lungu, his Minister of Justice and the entire administration that time does not wait for anyone and it has continued to tick towards 2021,” he said. He explained that if the bills are taken to parliament and the opposition decides to shoot them down then they would be accepting to hold the 2021 under the same legal framework they are fighting to improve. He said the Church leaders are not knowledgeable to make reforms. “We must underscore the point that making of laws is the sacred function that we, the people of Zambia, have entrusted into the hands of our members of parliament. We thus base our calls for government to act now and send the bills to parliament than wait for the church – most of whom are not knowledgeable on law reforms – to hold meetings that will not bind any of the three arms of Government, that is, our national assembly, the executive and the judiciary. Little wonder that the three arms of government stayed away from the launch of the dialogue process as they truly understand nothing that comes from it can legally bind them,” he said. Further Ntewewe said his organisation agrees with ZANASU on the call to realign the dialogue with the 7NDP. And Ntewewe has reiterated his call for the Church leaders to be open about their funding something he said has been a source of conflict between them and the ZCID. “As we conclude, we want to comment on the stalemate between the church and ZCID. Over the last few days, our friends from among the clergy have told us how they are still debating over the wording of the MoU which should be signed between these two groups. It appear the mistrust between the church and ZCID still remains especially that the church has been elusive in having a joint bank account for management of funds meant for the national dialogue. “Our questions still remain, why is the church averse to having a joint bank account with ZCID? Who has funded the church that they do not want their friends to know how much money will be spent on the national dialogue? 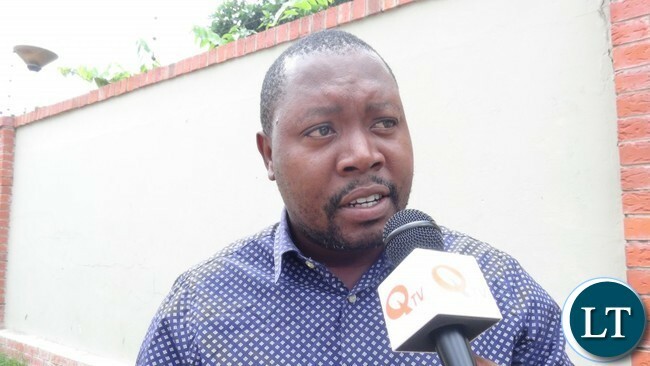 It is common knowledge that the UPND and its Alliance partners have come out strongly warning against those who ask these questions to the church but even this kind of defence raises a lot of suspicion on who must speak on behalf of the church,” he said. I don’t like donors who waste money on these empty noise makers. The sillies just get high salaries to build tu own houses. I equalify hate them. Iam so annoyed to see them waste money one this Ntewewe thing. He is PF like educated Antonio Mwanza with no principles. Because ZCID, same as YALI under your “leadership” (LOL) has huge moral integrity and political independence deficiency!!! Same like your Endemically Corrupt Leader! I don’t trust this Ntewewe whatever he calls himself. He pretends to speak for the people but he is PF cadre not different from the likes of Antonio Mwanza educated fellows with no principles due to contineous HIPC in their homes. Ntewewe writing is rubbish, nonsense. Iam very annoyed! These are the orgs. Not NGOs affiliated to political parties. Bena Ntewewe only say the truth…it does not matter who does not like the messages, for them its just good governance……Sorry UPND, these are not for sale! !